Long QT syndrome (LQTS) is a rare congenital and inherited or acquired heart condition in which delayed repolarization of the heart following a heartbeat increases the risk of episodes of torsades de pointes (TdP, a form of irregular heartbeat that originates from the ventricles). These episodes may lead to fainting and sudden death due to ventricular fibrillation. Episodes may be provoked by various stimuli, depending on the subtype of the condition. The condition is named for the appearance of the electrocardiogram (ECG/EKG) on which a prolongation of the QT interval occurs. Normally, the QT interval duration is between 350 and 440 milliseconds. In some individuals, the QT prolongation occurs after the administration of certain medications, which may be dangerous. In addition to medications, long QT syndrome can be acquired from to low blood potassium or low blood magnesium, as in anorexia nervosa. Fainting (or syncope). This may occur when the patient is emotionally or physically stressed. It is unusual in QT syndrome to have any signs before the person actually faints. Timothy's syndrome is due to mutations in the calcium channel Cav1.2 encoded by the gene CACNA1c. Since the calcium channel Cav1.2 is abundant in many tissues, patients with Timothy's syndrome have many clinical manifestations, including other congenital heart disease, autism, immune deficiency and complex syndactyly. GIRK4 is involved in the parasympathetic modulation of the heart. Clinically, the patients are characterized by only modest QT prolongation, but an increased propensity for atrial arrhythmias. LQT14 is caused by heterozygous mutations in the CALM1 (Calmodulin 1) gene (114180) on chromosome 14q32. LQT15 is caused by heterozygous mutations in the CALM2 (Calmodulin 2) gene (114182) on chromosome 2p21. A 1992 study reported that mortality for symptomatic, untreated patients was 20% within the first year and 50% within the first 10 years after the initial syncope. ↑ "Long QT syndrome - Symptoms". ↑ Thomson, Clare; Wright, Paul (2014-10-15). "Long QT syndrome". The Pharmaceutical Journal. 293 (7833). Retrieved 18 October 2014. ↑ Jáuregui-Lobera, Ignacio; Jáuregui-Garrido (February 2012). "Sudden death in eating disorders". Vascular Health and Risk Management. 8: 91–8. doi:10.2147/VHRM.S28652. PMC 3292410 . PMID 22393299. ↑ Hedley PL; Jorgensen P; Schlamowitz S; Wangari, Romilda; et al. (2009). "The genetic basis of long QT and short QT syndromes: a mutation update". Human Mutation. 30 (11): 1486–511. doi:10.1002/humu.21106. PMID 19862833. ↑ Torekov SS, Iepsen E, Christiansen M, et al. (2014). "KCNQ1 Long QT syndrome patients have hyperinsulinemia and symptomatic hypoglycemia.". Diabetes. 63 (4): 1315–25. doi:10.2337/db13-1454. PMID 24357532. ↑ Shinnawi R, Gepstein L; Gepstein (September 2014). "iPS Cell Modeling of Inherited Cardiac Arrhythmias". Curr Treat Options Cardiovasc Med. 16 (9): 331. doi:10.1007/s11936-014-0331-4. PMID 25080030. ↑ Shah, Dipak P.; Baez-Escudero, Jose L.; Weisberg, Ian L.; Beshai, John F.; Burke, Martin C. (2012). "Ranolazine Safely Decreases Ventricular and Atrial Fibrillation in Timothy Syndrome (LQT8)". Pacing and Clinical Electrophysiology. 35 (3): e62–e64. doi:10.1111/j.1540-8159.2010.02913.x. ISSN 0147-8389. ↑ Wang F, Liu J, Hong L, et al. (2013). "The phenotype characteristics of type 13 long QT syndrome with mutation in KCNJ5 (Kir3.4-G387R).". Heart Rhythm. 10 (10): 1500–6. doi:10.1016/j.hrthm.2013.07.022. PMID 23872692. ↑ "QT Drug List by Risk Groups". Arizona Center for Education and Research on Therapeutics. Retrieved 2010-07-04. ↑ Compton SJ, Lux RL, Ramsey MR, et al. (1996). "Genetically defined therapy of inherited long-QT syndrome. 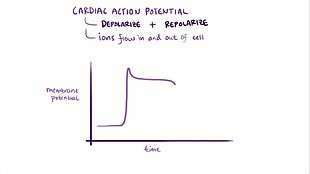 Correction of abnormal repolarization by potassium". Circulation. 94 (5): 1018–22. doi:10.1161/01.CIR.94.5.1018. PMID 8790040. ↑ Schwartz, P. J.; Moss, A. J.; Vincent, G. M.; Crampton, R. S. (1993-08-01). "Diagnostic criteria for the long QT syndrome. An update.". Circulation. 88 (2): 782–784. doi:10.1161/01.CIR.88.2.782. ISSN 0009-7322. PMID 8339437. ↑ Tranebjaerg L, Bathen J, Tyson J, et al. (1999). "Jervell and Lange-Nielsen syndrome: a Norwegian perspective". American Journal of Medical Genetics. 89 (3): 137–46. doi:10.1002/(SICI)1096-8628(19990924)89:3<137::AID-AJMG4>3.0.CO;2-C. PMID 10704188. ↑ Jervell A, Lange-Nielsen F; Lange-Nielsen (July 1957). "Congenital deaf-mutism, functional heart disease with prolongation of the Q-T interval and sudden death". Am. Heart J. 54 (1): 59–68. doi:10.1016/0002-8703(57)90079-0. PMID 13435203. ↑ Ward OC (April 1964). "A new familial cardiac syndrome in children". J Ir Med Assoc. 54: 103–6. PMID 14136838. ↑ Moss AJ; Schwartz PJ (2005). "25th Anniversary of the International Long-QT Syndrome Registry". Circulation. 111 (9): 1199–1201. doi:10.1161/01.CIR.0000157069.91834.DA. PMID 15753228. Thomson, Clare; Wright, Paul (2014-10-15). "Long QT syndrome". The Pharmaceutical Journal. 293 (7833). Retrieved 18 October 2014.